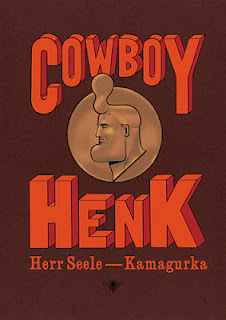 COWBOY HENK: A fantastic overview of Cowboy Henk's career as a comic hero will be out soon!!! A fantastic overview of Cowboy Henk's career as a comic hero will be out soon!!! A great new Cowboy Henk album is coming out this autumn! It shows an overview of Henk's adventures from the early beginning untill now. Awsome! Will it be in English? Will it be available to buy it in Internet? Thanks men! 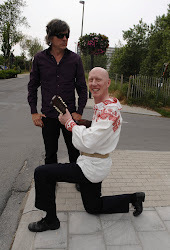 COWBOY HENK IN HELSINKI !